The new study reveals that this age-stability of blood pressure among the Yanomami starts in early childhood. It is the first to compare the Yanomami to a geographically co-located population -- the Yekwana -- that has had a different exposure to Western diet and other Western lifestyle influences. In contrast to the Yanomami, the Yekwana have been exposed to some aspects of Western lifestyle and diet, including processed foods, through interaction and trade with the industrialized world. 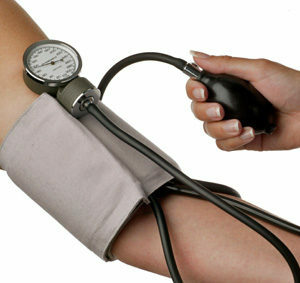 While blood pressure readings at the youngest ages were virtually the same as those for their Yanomami peers, there was a statistically clear trend towards rising levels with advancing age -- roughly 0.25 mm Hg per year -- such that the Yekwana had levels averaging 5.8 mm Hg higher by age 10, and 15.9 mm Hg higher by age 50. "This age-related rise in blood pressure begins in early childhood -- which suggests that early childhood may be a 'window of opportunity' for lifestyle interventions to prevent later rises in blood pressure," Mueller says. To put these findings in context, in the U.S. systolic blood pressure rises by about 1.5 mm Hg and 1.9 mm Hg per year among boys and girls, respectively, and 0.6 mm Hg per year among adults. Next article:Eat Fruits And Vegetables Every Day!